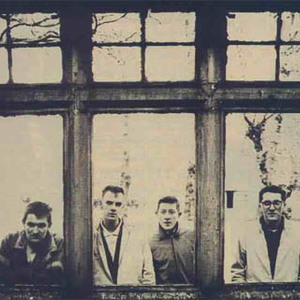 The Housemartins were an indie pop/alternative rock band which formed in 1983 in Kingston upon Hull, England. At its formation the band consisted of Paul Heaton (vocals), Stan Cullimore (guitar), Ted Key (bass) and Chris Lang (drums). The band's membership changed frequently throughout its existence. Ted Key was replaced by Norman Cook (who later became internationally famous as big beat musician Fatboy Slim) and drummer Chris Lang was replaced by Hugh Whitaker, former drummer with The Gargoyles, who in turn was replaced with Dave Hemingway. The band split in 1988. In 1986, the band broke through with the single Happy Hour, which reached No. 3 in the UK charts helped by a claymation animated pop promo of a type that was in vogue at the time. At the end of the same year, they had a No. 1 single with a cover version of Isley Jasper Isley's Caravan Of Love. The band released three albums: London 0 Hull 4, The People Who Grinned Themselves To Death, and the greatest bits compilation Now That's What I Call Quite Good. A new collection, Best of the Housemartins, was released in 2004, and was available in a expanded edition with a DVD collecting their music video clips. The Housemartins lyrics were an odd mixture of Marxist politics and born-again Christianity, reflecting Paul Heaton's beliefs at the time. The band split in 1988, but the members have since remained friends and worked on each other's projects. Norman Cook has enjoyed significant success with both Beats International and then as Fatboy Slim, while Heaton, Hemingway and roadie Sean Welch formed The Beautiful South. Stan Cullimore has become an author of children's books. Despite repeated requests from fans, they have never reformed.